Important updates have been made to the BANT Professional Practice Handbook. The latest version is version 3.0 and is now available on the BANT website here. The British Association for Applied Nutrition and Nutritional Therapy (BANT) is interested to note the British Dietetics Association’s release of the list of diets that should be avoided. BANT concurs with the idea that following faddy diets, promoted by celebrities with little-to-no training in evidence-based nutrition and clinical practice, should be discouraged. BANT was, however, surprised that scientifically supported regimes, including the ketogenic diet and intermittent fasting, were completely dismissed out of hand, despite the evidence that for some people – and we reiterate the word some, these methods can make all the difference. 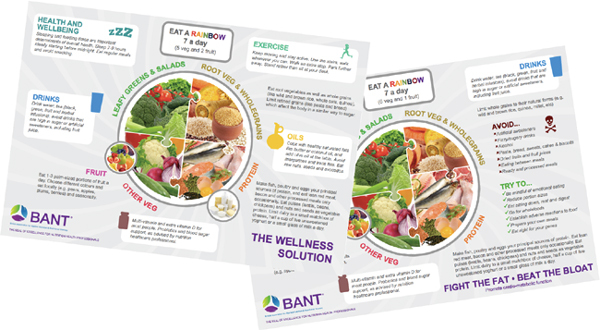 It is BANT’s continued concern that Eatwell Guide is based on what is good for a mythical standard person, rather than taking into account individual circumstances. BANT has continuously emphasised that applying a group solution to an individual problem will not and cannot work. The way forward is personalised lifestyle medicine recommendations, including nutrition. Personalised interventions were highly recommended also as the way forward at this week’s event by the RSM and the Nutrition Society on Diet, nutrition and the changing face of cancer survivorship. While this is just one example where recognising the individual needs of people is highly relevant to achieve desired health outcomes, it was similarly extended to preventative stages to help manage variety of chronic health conditions. BANT Registered Nutrition Practitioners take into account individuality that enables personalisation of dietary advice based on the most up-to-date research available. They do not suggest ‘one-size-fits-all’ advice following the health trend of the moment. BANT recommends that you choose a Registered Nutrition Practitioner who has undertaken training at an accredited course thereby ensuring necessary training to understand the theory and practice of nutritional therapy. BANT Registered Nutrition Practitioners are regulated by the Complementary and Natural Healthcare Council (CNHC) that holds an Accredited Voluntary Register (AVR) for the Professional Standards Authority for Health and Social Care (PSA). As members of the CNHC Accredited Register, BANT Registered Nutrition Practitioners and other CNHC registrants, are the key workforce asset to harness 21st century lifestyle medicine to tackle the rising tide of stress related fatigue, obesity, Type 2 Diabetes, dementia and other chronic diseases of ageing. A recent report by the Royal Society for Public Health and the Professional Standards Agency made a key recommendation that AR practitioners have the authority to make direct NHS referrals, in appropriate cases, to ease the administrative burden on GP surgeries. Nutritional therapy is the application of nutrition science in the promotion of health, peak performance and individual care. It is a progressive approach to health optimisation. You have seen our profession moving forward in strides during 2017 and Lifestyle Medicine is becoming a mainstream topic discussed both in healthcare forums and public facing communications. BANT equally wishes to move on with the times and demonstrate that BANT Members have been practising lifestyle medicine for years before the term was even coined in its current manifestation. We are delighted to bring you the recorded presentations and slides from the second Scotland Regional Branch event featuring experts discussing functional approaches to pain management. If you were unable to attend the event, this is a fantastic opportunity to gain CPD hours.